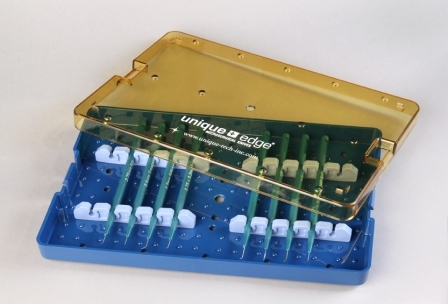 Unique Technologies has marketing materials for our distributors of UniqueEdge products to assist in your sales process. If you would like to order any of these items to ship with your next purchase, please let us know during the ordering process. Our pre-printed sales brochure is a professional way to introduce Unique Technologies to your customers. 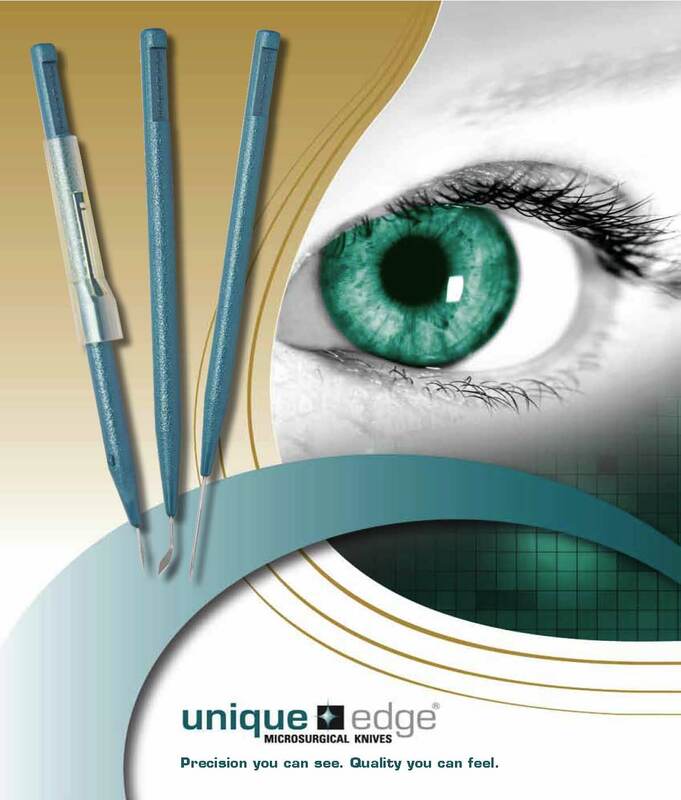 Our world-class, precision microsurgical knives are explained along with a list of our most popular UniqueEdge items. Our super sharp UniBevel knife and our guarded knives are featured. You can preview the brochure HERE. While our brochure lists our most popular knives, you can download a current and complete PRODUCT CATALOG here. Do you need Unique Technologies "leave-behind" marketing collateral? You can download this 2-sided branding sales sheet or ask for pre-printed copies with your order. Attach your business card in the space located on side 2. Will you be exhibiting at a trade show and promoting your UniqueEdge line of knives? We have display trays to help with your exhibit. Do you need to know more about marketing the UniqueEdge brand? We'll be more than happy to send you our Style Guide which has images of our logos and knives. Do you have other requests for marketing UniqueEdge products? Please contact us to discuss.